On Friday we had a very special Remembrance Day Service. Our grade 6 teacher and grade 6 class did a terrific job organizing and presenting it. Our students listened very carefully when Mr. Davis, a current police officer and former soldier, explained the importance of Remembrance Day to him. How he went to war and had friends that did not return from war. Remembrance Day is Mr. Davis’ favorite day because he remembers the sacrifices of others, but recognizes how special peace is. As you wear your poppy this year, please remember the countless soldiers that have given their lives for us, whether in the First World War, Second World War, Korean Conflict, the many peacekeeping missions, or the current conflict in Afghanistan. 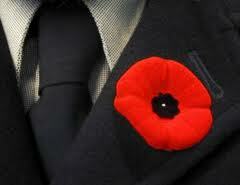 We must honour and thank them for our safe and peaceful country. Please also remember the horrors of war. The horrible destruction it brings to all the civilians. It may sound simple, but if we could only follow Jesus Christ and his model of love, war would not exist. Please remember and thank all those who gave so much for us to live in the best country in the world. But more importantly, please pray for peace. Peace in our own learning community of Our Lady of the Assumption School, peace in our country, and yes, world peace. Tomorrow, November 4, we celebrate Catholic Education Sunday in Alberta. Pope Benedict has declared this year to be the Year of Faith. The Catholic Bishops of Alberta and the Northwest Territories indicate, “Our Catholic schools offer a daily opportunity for staff and students to encounter Jesus Christ and respond to him with faith.” Truly, we need to celebrate. Not only do we provide excellent learning environments, students involved in Catholic Education learn about Jesus Christ and to follow His model. We learn about and use our gifts and talents to help others. By doing this we welcome everyone and strive to create safe, Christ centred, learning environments. Ourselves through our positive examples of how we treat each other every day. Let us work together in the spirit of Catholic education to make our school a place to be truly thankful for and an example for everyone to follow. Once we have done this at our school, we will have accomplished our vision of being a safe and caring, Christ-centered community of hope and learning.